Determining fault, proving fault, and how fault impacts an award of damages. The factor that’s most determinative in predicting whether a personal injury victim will be able to recover damages is whether fault can be shown. Whether or not you recover damages after a personal injury accident will depend on who is at fault. The legal term synonymous with fault is “negligence.” While it’s obvious who was at fault in certain accidents, liability in other cases is harder to establish. This article explores the role of fault in Arizona accident cases, including how fault is established and how fault might impact the amount of damages you receive. In some states, lawmakers have tried to cut down on the number of lawsuits (and the cost of insurance) by instituting a no-fault insurance system. In these states, each driver pursues compensation through their own insurance provider regardless of who’s at fault for the accident. The process reduces the costs associated with insurance claims and litigation because any dispute about who caused the accident is irrelevant. Because of this, insurance companies in no-fault states tend to pay claims more quickly. On the other side of the coin are states with a fault-based insurance system. In these states, the at-fault driver (or their insurer) is responsible for paying the other parties damages. This means that the other driver and their insurer can (and often do) dispute liability. If the at-fault driver has no liability insurance, you can make a claim with your own insurance provider so long as you purchased uninsured motorist coverage. Similarly, if the at-fault driver is underinsured (i.e., the amount of your damages exceeds the limits of the at-fault driver’s coverage), you can make a subsequent claim against your own insurance company so long as you purchased underinsured motorist coverage. In Arizona, both uninsured and underinsured motorist coverage are optional. While PIP insurance is mandatory in many states like Florida, it’s optional in Arizona. As a result, you can only make a PIP claim if you bought PIP insurance prior to your injury. If you’re injured in an accident that was partly or completely caused by a road hazard, someone other than another driver may be liable. Depending on the hazard, the liable party might be the public works department, the city, or some other public entity. Enjuris tip: Claims against public employees and public entities have strict time limitations. If you think the public is responsible for your accident, you’ll want to contact an experienced personal injury attorney in Arizona immediately. In some cases, the person who you believe is at fault turns around and tries to blame you for the accident. The question then becomes: Were both of you at fault? And if so, to what degree? Arizona follows the pure comparative fault theory. Under this theory, the amount of damages a plaintiff can recover is reduced by a percentage that reflects their own degree of fault – no matter what that percentage may be. Let’s say the other driver failed to stop at a red light and crashed into you. But according to the police report you were driving at night without your headlights. A jury might find that you were 30% at fault and the other driver was 70% at fault. Under Arizona’s comparative fault law, you would only be able to recover 70% of your damages from the other driver. As discussed above, fault is generally based on another person’s carelessness. The legal term for this carelessness is negligence. 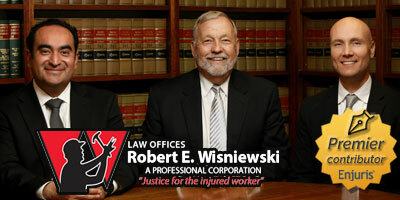 Looking for a personal injury attorney in Arizona? Browse our free online directory.